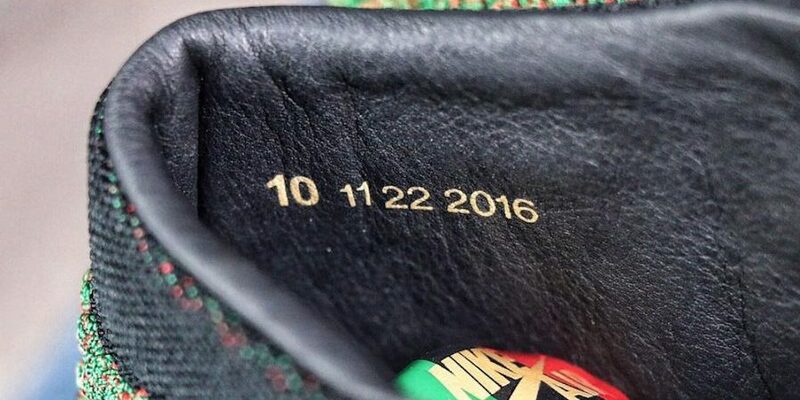 Nike kicks off Black History Month with the release of the Jordan Retro 1 Flyknit “BHM” on Thursday, February 1st. 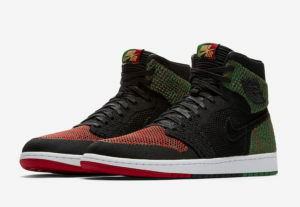 The Jordan 1 Retro Flyknit BHM features a red, yellow and green colorway that pays tribute to the Pan-African Flag. Embellishments include gold-tipped laces and the date 11-22-2016 printed on the insole commemorating the date Michael Jordan received the Presidential Medal of Freedom from Barack Obama.